We are living through a period of dramatic political change – Brexit, the election of Trump, the rise of extreme right movements in Europe and elsewhere, the resurgence of nationalism and xenophobia and a concerted assault on the liberal values and ideals associated with cosmopolitanism and globalization. Suddenly we find ourselves in a world that few would have imagined possible just a few years ago, a world that seems to many to be a move backwards. How can we make sense of these dramatic developments and how should we respond to them? Are we witnessing a worldwide rejection of liberal democracy and its replacement by some kind of populist authoritarianism? Heinrich Geiselberger, born 1977 in Waiblingen, Germany, is an editor at the leading German publisher Suhrkamp Verlag. 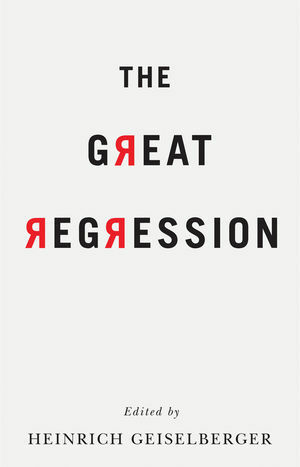 "With 15 fresh, riveting essays by notable political analysts and international studies scholars from nearly as many different countries, The Great Regression, Heinrich Geiselberger's new volume addressing the many perilous aspects of global interdependence, is a must-read for anyone curious to know more about the deeper structures at play in contemporary international politics."